Adelaide City has brought the party to a chilly night at West Beach Parks with a thumping 0-8 win over Fulham United in Round 2 of the WNPL. It was an impressive display of skill and class, with five different goal-scorers making their way onto the scoresheet – including a very special debut goal by Yuka Sasaki. Daniela Di Bartolo drew first blood just four minutes after the referee blew the whistle, when Georgia Campagnale’s perfectly-weighted free kick found the former and she headed it cleanly past Fulham’s goalkeeper at the back post. City dominated the play for the next 20 minutes; however, Fulham were able to hold them off and keeper Comley stood strong between the sticks to deny City multiple opportunities. Nonetheless, in the 37th minute, a corner clearance landed right at Alicia Nickolas’s feet, and she made no mistake to strike the ball beautifully into the top left corner, out of the reach of a diving Fulham ‘keeper. Dylan Holmes had a golden opportunity before the halftime whistle, but her efforts rebounded off the crossbar. She made it up moments later though, by capitalising on a loose ball in the box to drive it into the bottom left corner. In the 54th minute, one of Fulham’s players sent a strong strike past Kendall Jenner, but their celebrations were cut short as the goal was called back for offside. Nora Peat opened her scoring account for the season just three minutes later, completing a chance created off the back of some extremely neat footwork by Nanako Sasaki. Di Bartolo got her second goal of the night when she let loose a fiery strike into the back of the net after the goalkeeper’s initial save landed right at her feet. From here on out, it was goals galore for City as they netted three goals in the last seven minutes of the game. A ‘Di Bartolo’ classic – a solo run to round the keeper and slot in the goal – to complete her hattrick; a beautiful debut goal for Yuka Sasaki as she taps in a cutback from none other than her older sister Nanako Sasaki; and Campagnale with the last say of the game when she chipped the ball into the top left corner of the goal. 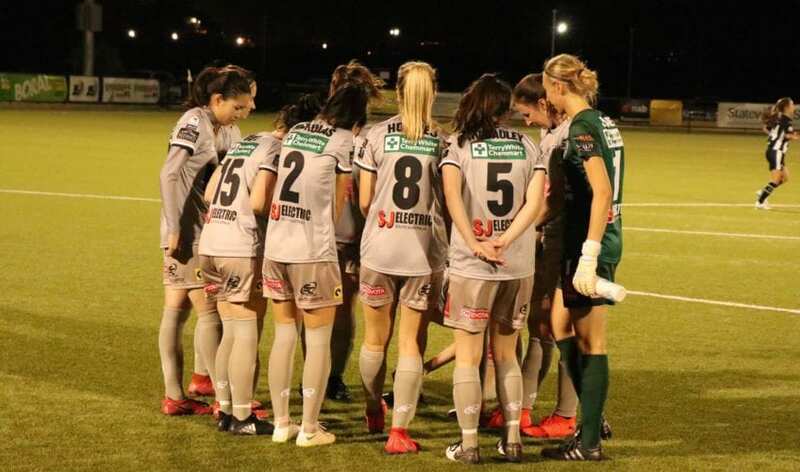 Adelaide City will be playing against newly-promoted Adelaide Comets in the next round of WNPL, at VALO Football Centre on Friday 22nd March at 8:15pm.